Institut Ramon Llull | Contact | CAT. | ENG. Catalonia returns to the Eventi Collaterali of the 14th Venice Biennale of Architecture with the project Arquitectures Empeltades/Grafting Architecture curated by Josep Torrents i Alegre together with associate curators Guillem Carabí Bescós and Jordi Ribas Boldú. 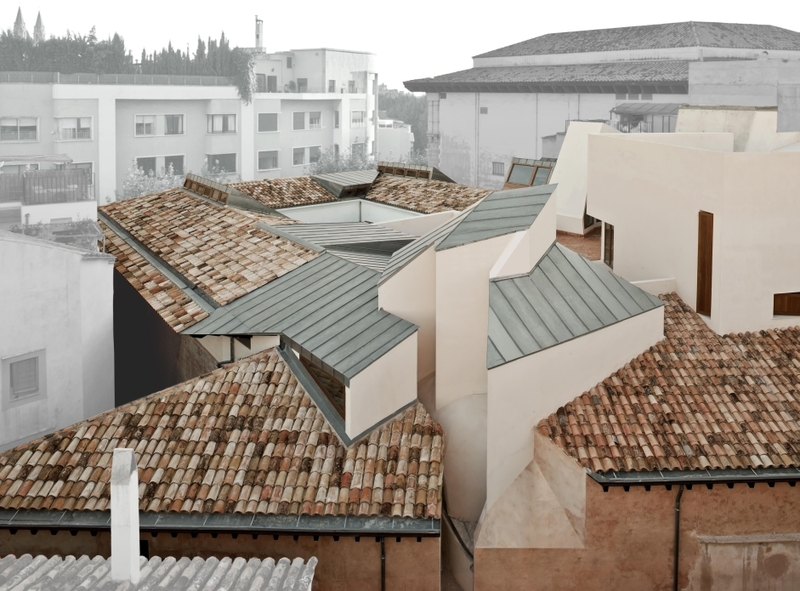 This proposal, chosen by a panel of judges through a public competition held by Institut Ramon Llull (IRL), the driving force behind Catalonia’s participation, seeks to elucidate the changes taking place in contemporary Catalan architecture, presenting examples of a way of going about things that is able to update a living tradition, projecting it towards the future. The panel of judges that chose this project by Josep Torrents i Alegre was chaired by Lluís Domènech i Girbau, who holds a PhD in Architecture and is president of Arquitectes per l’Arquitectura and the author of several books on modernism. The other members of the panel were Lluís-Xavier Comerón, dean of the Col·legi d’Arquitectes de Catalunya; Fernando Marzà, director of culture of the Col·legi d’Arquitectes de Catalunya; Fèlix Arranz and Jordi Badia, curators of Catalonia’s project at the Venice Biennale of Architecture in 2012; Carme Pinós, architect; Olga Felip, architect, and Àlex Susanna, assistant director of the IRL at the time of the competition. This is the second time the Institut Ramon Llull presents Catalonia within the Eventi Collaterali of the Venice Biennale of Architecture. 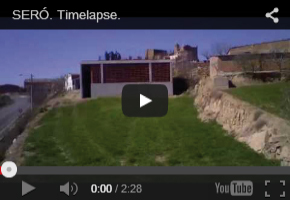 It first participated in 2012 with the project Vogadors/Architectural Rowers, curated by Jordi Badia and Fèlix Arranz. Catalonia has also participated in the Eventi Collaterali of the Venice Biennale of Art every year since 2009. The Institut Ramon Llull is a consortium formed by the Government of Catalonia and the City of Barcelona that aims to promote Catalan language and culture internationally in all of its means of expression. To achieve its objectives, the Institute Ramon Llull provides support for the cultural foreign relations policies of consortium institutions and contributes to strengthening the Catalan Culture, Catalonia and Barcelona brands from a cultural perspective. 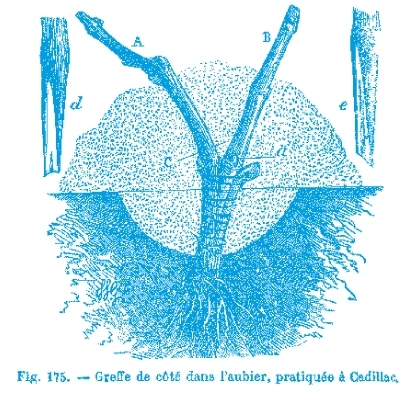 Grafting is a process that involves inserting part of a tree with one or more buds into the branch or trunk of another tree such that a permanent union is established between the two, in the same way as the viticulturist who grafts a scion from the desired grape variety onto the rootstock and where the subsequent grape quality and the excellence of the resulting wine stem from correct union between scion and rootstock. In architecture we can identify a number of processes that bear a great similarity to this botanical process. Preexisting structures, physical or otherwise, are grafted with the new proposal, generating a building that brings together and harmoniously fuses the characteristics of what already exists and what is new. We can find this grafted architecture across the centuries in a great many examples. However it is in the last quarter of the 20th century and the early 21st century where we find a great number of projects in Catalan architecture in which proposals of different types and scales achieve brilliant results. Grafting transmits the idea of a new organism that combines the strong points of its original components and is more vigorous than either of them on their own, an idea of renewal and growth. Grafting Architecture speaks of a contemporary attitude shared over time by many projects and many architects wherein each building is understood from within itself, through its uniqueness, and noticeably enriches the place where it is located. The starting point for Grafting Architecture is the restoration of Casa Bofarull (1913-1933), one of the key works of Josep Maria Jujol (1879-1949). In this Tarragonan architect's way of working we can identify an attitude that can be traced through many projects built in the last century, one which is based on an intensive dialogue with preexisting features (physical or otherwise) that enable a project including and blending new and existing elements to be developed, just as cuttings are grafted to a tree. Over the course of two decades and long interruptions, Jujol sketched and directed the construction of the architectural solutions that would distinguish Casa Bofarull. 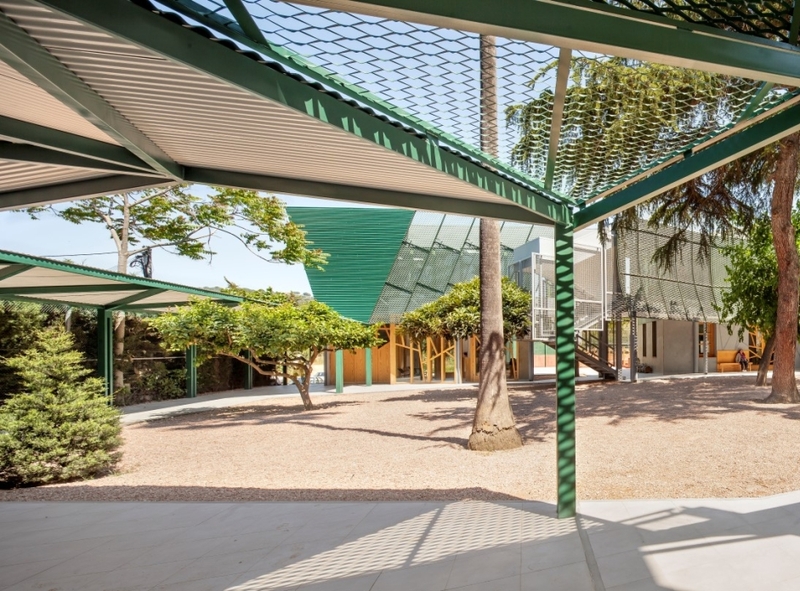 Project, construction and use are combined to materialize an architecture generated in equal part by the architect's personal universe and the stimuli and suggestions offered him by the Camp de Tarragona region. Today we find this process well documented thanks to the collection of over one hundred drawings preserved in the Arxiu Jujol. They span a chronological arc that begins with one of the first sketches showing the former state of the house in 1913, probably drawn over the summer he met with the Bofarull sisters, and concludes with the last drawings identifying the flooring solutions Jujol would employ in the house's foyer in 1933. 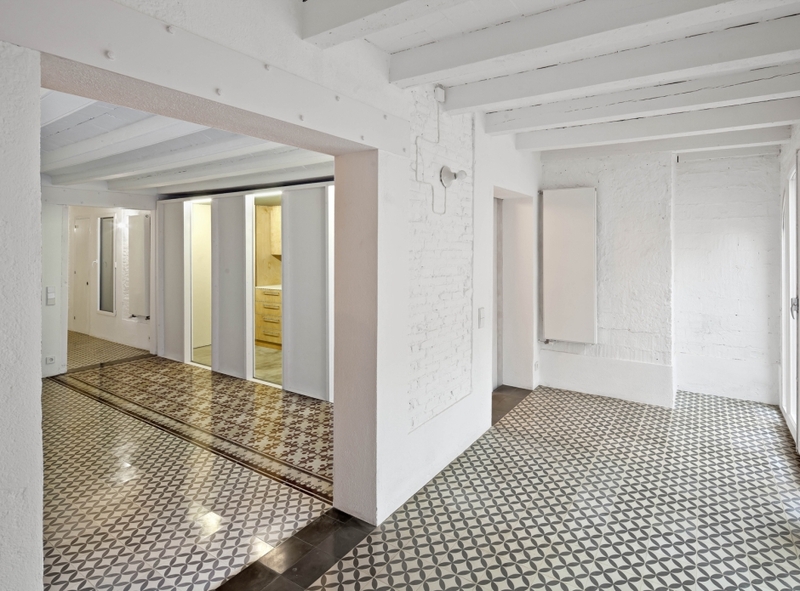 The restoration of Casa Bofarull symbolizes a certain timeless way of approaching things found in different examples of Catalan architecture. Jujol does not relate to the buildings by undertaking taxidermic restorations, historicist interventions or additive reforms; he transforms the structures into something new but at once recognizable. He inserts a new layer into what exists, like a kind of fusion in which different periods and different ways of living are stratified and overlap and wherein it is impossible to separate the parts from the whole. It is an architecture removed from the isolated, self-absorbed and pure object and one which is the reflection of the architect's personal universe and the stimuli of the environment where the building stands. This building allows us to explore an architectural attitude that is timeless and one in which it is accompanied by various projects spanning a century of Catalan architecture. All of these examples work with preexisting constructions and are the result of layering concepts in which traditional materials are reinterpreted, and they are inserted in the territory, engaging in dialogue. They are complex and enriching projects that add a temporary milestone to the place where they are built, and they cannot be understood without their surrounds, making it impossible to separate the parts from the whole. A rich local-universal synthesis is seen as the driving force of the project, where the world is reinterpreted from one of its corners: projects on the slow burner and reflection that continue a long-standing architectural tradition. The selection of projects allows us to show how these attitudes are adapted to different scales and types that range from a small apartment or a chapel to the regeneration of a metropolitan landfill, metro stations and neighborhoods in a city devastated by war. They also allow us to grasp that this attitude is intergenerational, shared by architects of varying ages who have experienced and enriched the debate forever. Most of the projects selected are from the 20th century and are therefore vibrant proof of the vitality of this way of approaching things. It is also interesting to see that this attitude is one of the hallmarks of Catalan architecture, and Catalonia is one of the places where it has been developed with the most vitality and diversity. The projects selected are presented through the process each architect followed in the phases of drafting and constructing the building. They are unique processes allowing us to see firsthand how analysis and decision-making develop through sketches, diagrams, drawings, photos, models, texts and more. Each project must be self-explanatory, making use of all available resources. 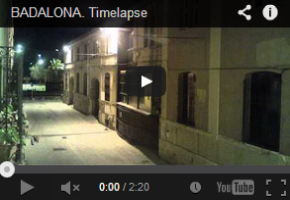 Restoration of Casa Bofarull (1913-1933, Josep Maria Jujol, in Els Pallaresos). 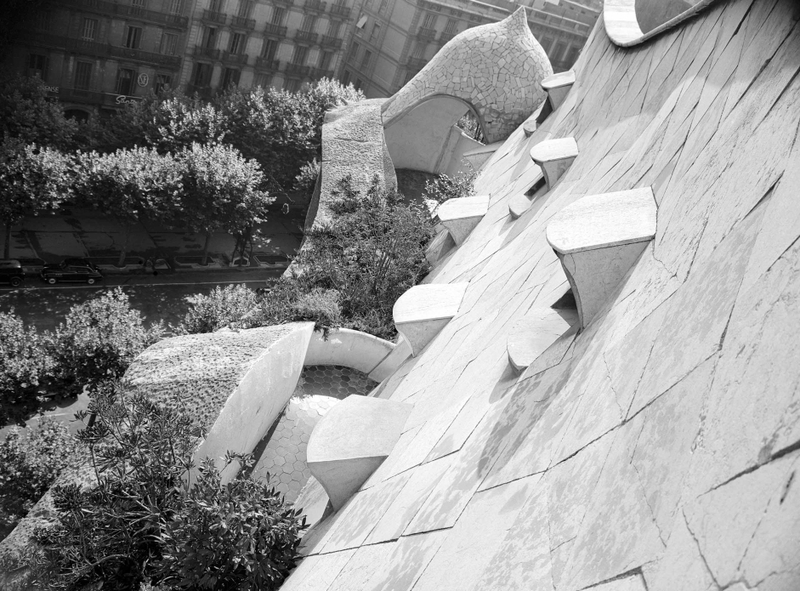 Apartments in the attic of La Pedrera (1953-1955, Francisco Juan Barba Corsini, in Barcelona). 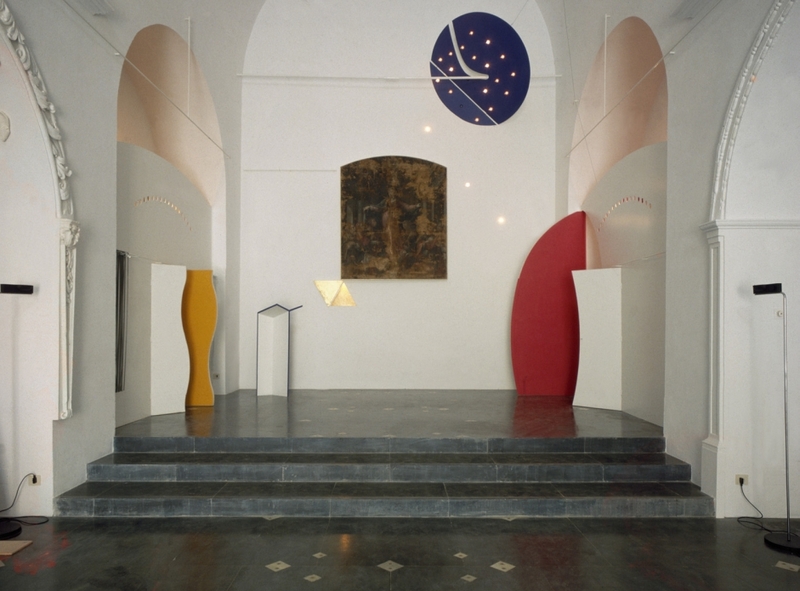 Restoration of the Church of L’Hospitalet (1981-1984, José Antonio Martínez Lapeña and Elías Torres Tur, in Ibiza). La Llauna High School(1984-1986, Carme Pinós and Enric Miralles, in Badalona). 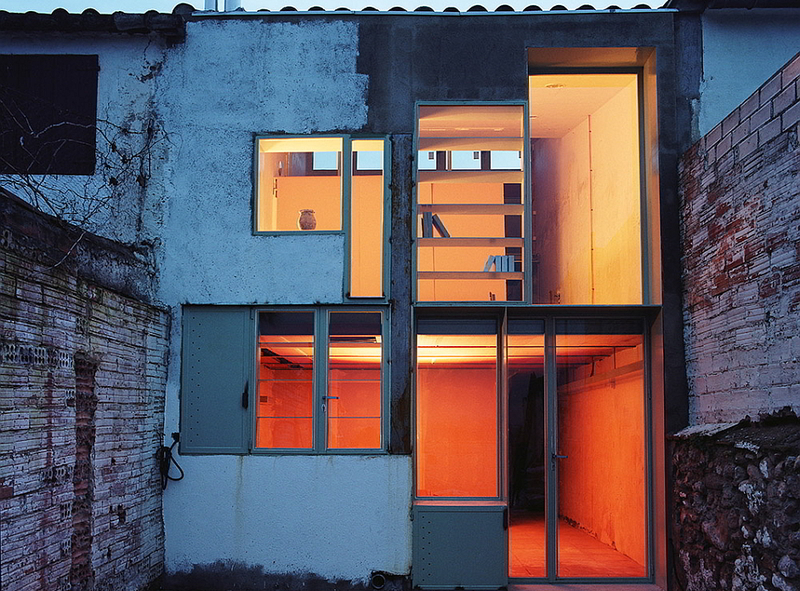 Caldereria Petita House, restoration of a terraced house (2001-2002, Calderon - Folch - Sarsanedas Arquitectes, in Gelida). Photo Gallery. 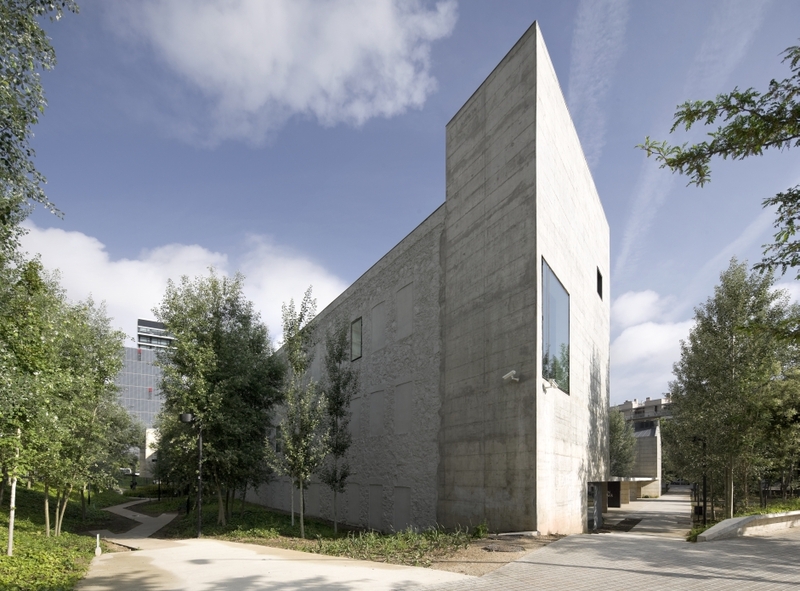 Can Framis Museum (2007-2009, Jordi Badia, BAAS Arquitectura, in Barcelona). Photo Gallery. 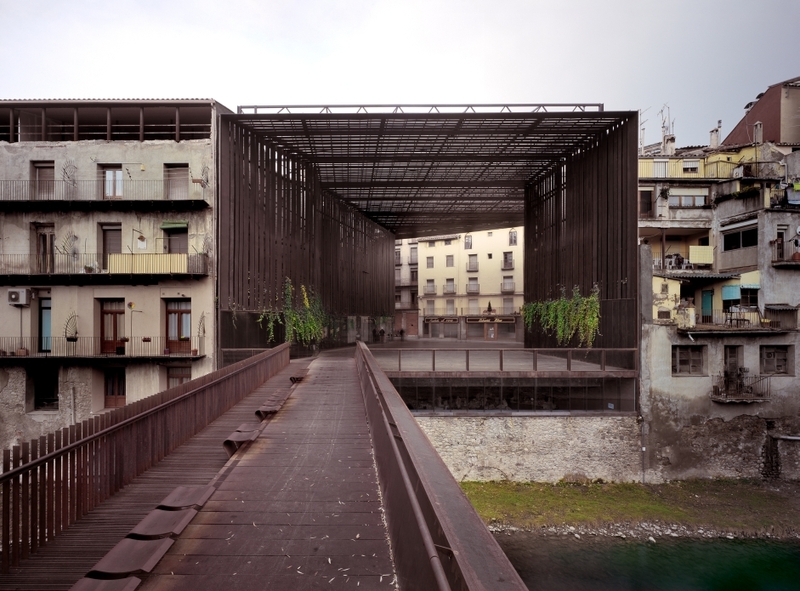 La Lira Public Theater Space (2004-2011, RCR Arquitectes: Rafael Aranda, Carme Pigem and Ramon Vilalta, and Joan Puigcorbé, in Ripoll). Juan Apartment (2011, Vora arquitectura: Pere Buil and Toni Riba, in Barcelona). Photo Gallery. 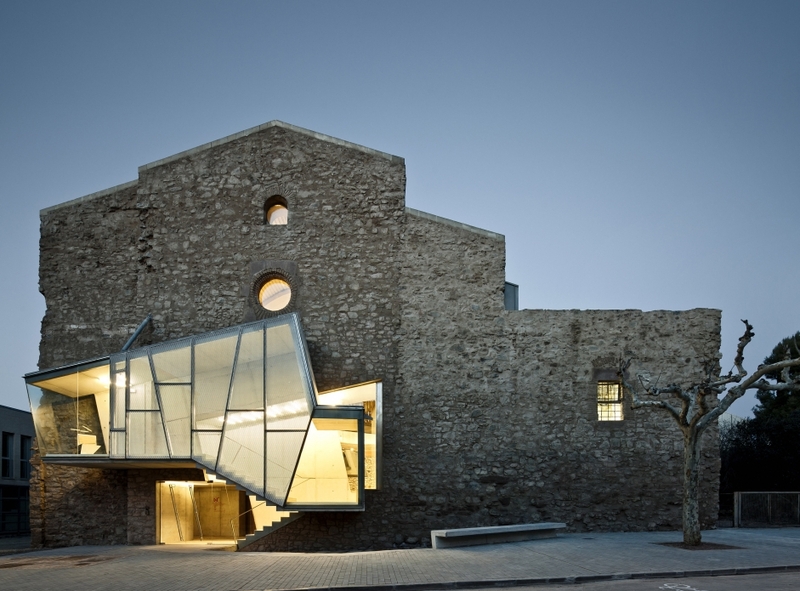 Saint Francis Church Auditorium (2003-2011, David Closes, in Santpedor). Photo Gallery. Three stations of Barcelona Metro Line 9: Amadeu Torner, Parc Logístic and Mercabarna (2008-2011, Garcés - De Seta - Bonet Arquitectes: Jordi Garcés, Daria de Seta and Anna Bonet, and Ingeniería Tec-4: Ferran Casanovas, Antonio Santiago and Felipe Limongi, in Barcelona). Transmitter Space for the Megalithic Tumulus/Dolmen (2007-2013, Toni Gironès, in Seró, Artesa de Segre). Can Zariquiey – Arenys de Munt Clinic (2006-2013, Josep Miàs, Josep Miàs Arquitectes, in Arenys de Munt). Photo Gallery. Casal Balaguer Cultural Center(1996-in process, Flores&Prats Arquitectes: Eva Prats i Ricardo Flores, and Duch-Pizá Arquitectos: M. José Duch and Francisco Pizá, in Palma). 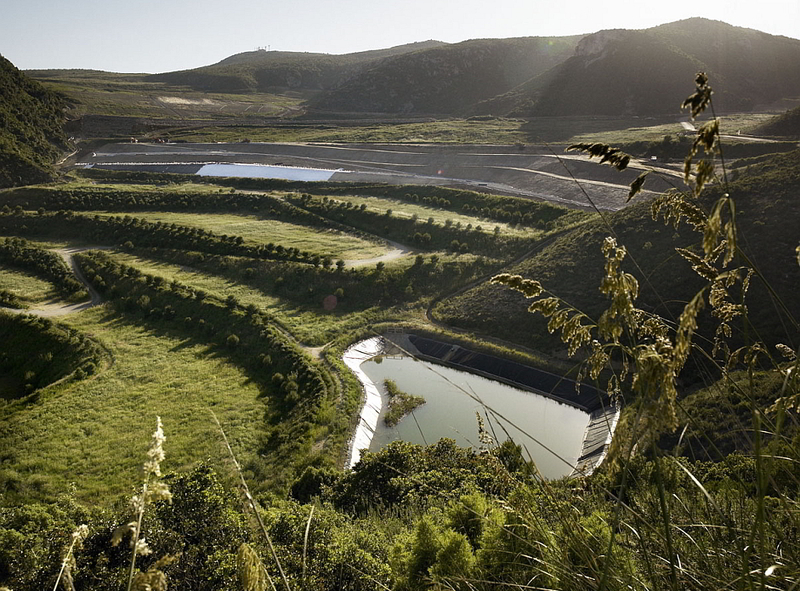 Landscape restoration of the Vall d’en Joan landfill in Begues (2002-in process, Enric Batlle, Joan Roig and Teresa Galí, in the Garraf Natural Park). Photo Gallery. 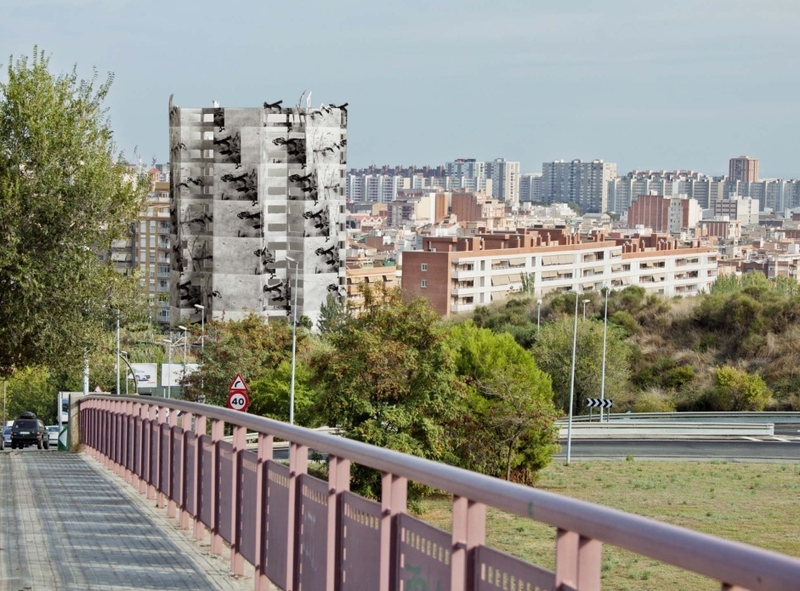 Tower of 94 public housing units (2012-in process, Josep Llinàs, in L’Hospitalet de Llobregat). Photo Gallery. 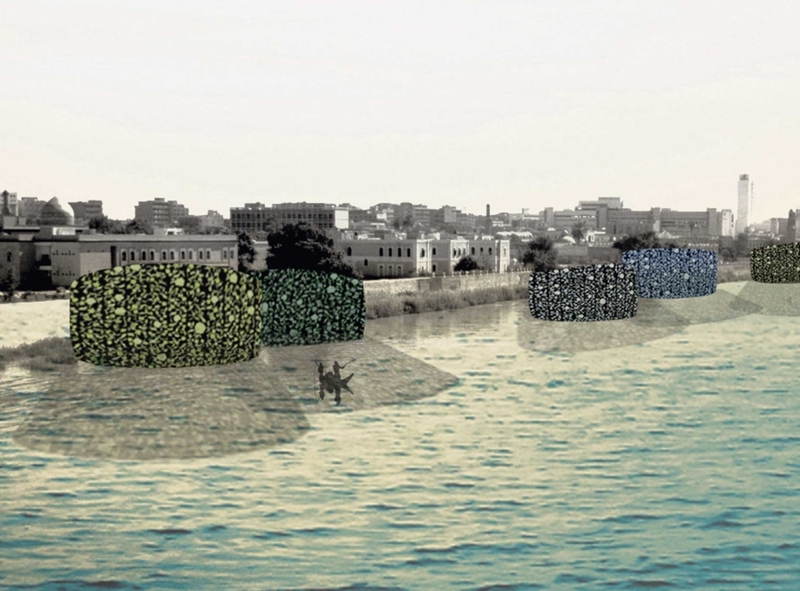 Project to revitalize the Al-Adhamiyah District (2012-in process, AV62 Arquitectos: Victòria Garriga and Toño Foraster, and Pedro García del Barrio and Pedro Azara, in Baghdad). 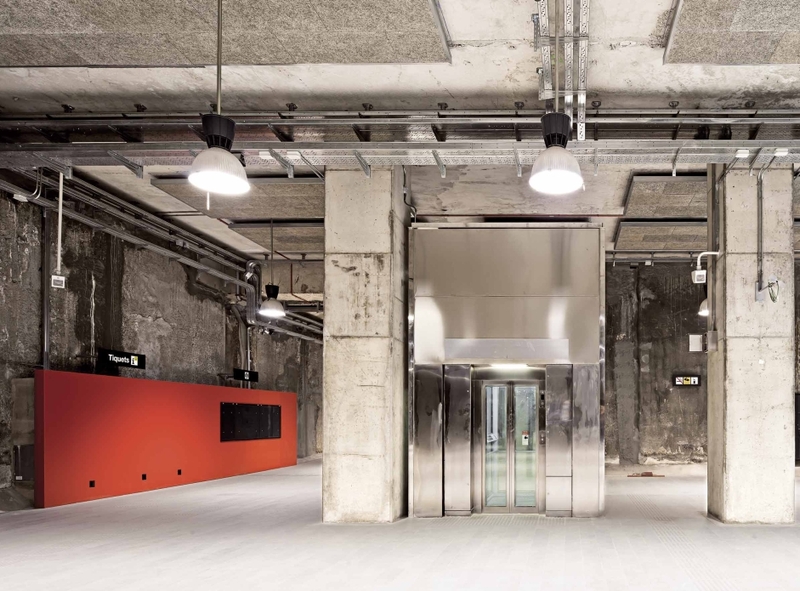 When the construction process is over and the building opens its doors a new stage begins and the building undergoes transformations influenced by the environment, its users and the passage of time. In this phase there is an initial trial process until the quotidian is incorporated into the building and the people make it their own. It then becomes part of the landscape. This perception of the life of buildings is what the second phase of the exhibition seeks to capture. Four buildings have been chosen to trace a century of architecture: Casa Bofarull (1913-1933), La Llauna High School (1984-1986), La Lira Public Theater Space (2004-2011) and the Transmitter Space for the Megalithic Tumulus/Dolmen (2007-2013), and they enable us to visualize these varied perceptions through different channels. A camera located in front of each of the four buildings will take different pictures every day. Each of the images of the buildings will have the same framing, but each of them will also be different since the climatic, landscape and light conditions will vary and the activities taking place around the buildings will change. 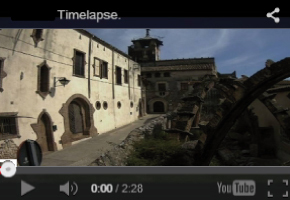 Linking these images will make it possible to trace the subtleties of the passage of life and the passage of time in such a way that the buildings will be contextualized in their surroundings. Each image will be a reality of the building, and so different realities of the same place will be collected, allowing us to better understand the perception and representation of these architectural works. A fixed camera focused on the building from a very carefully chosen angle will act as an open window allowing us to see life as it unfolds in each of the selected buildings . 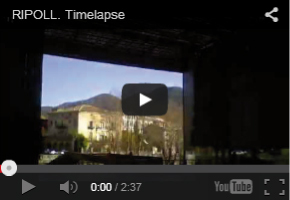 This window will show the life of each building in real time. The actions are a deliberately subjective intervention in each of the buildings that alter their environment with a dual objective: to provide content for the exhibition and to serve as an element of communication about the project. These actions are proposals from different performing artists and musicians that have been organized with a view to their having a close relationship with the architecture, and they help these works to be perceived in a different way, placing the emphasis on their characteristic spaces and elements. 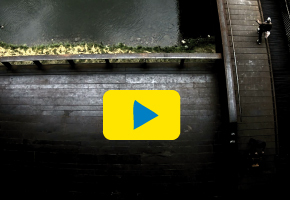 The actions are to be filmed and subsequently edited and will be shown at the exhibition space and on the website. This action highlights Jujol's different interventions in the house with specific focus on their human scale and also on their symbolic nature. It is entirely based on the corporeality of the actor within the space and makes minimal use of speech. This action emphasizes the sound component of the architecture, based both on the different materials and on its design as a space open to the environment. The proposal has a clear focus on sound experimentation, seeking a possible ancestral dimension. "Superimposed Interruptions of an Action"
This action brings new life to some of the high school's spaces, especially the less assuming ones. These spaces are traversed by a performing body that appears side by side with the bodies of the young people who use them daily, in constant dialogue with the camera. "In the Void of Here and Now"
This action redefines the central space of the new architectural work, focusing on the amplitude of the empty space itself and also connecting with the public dimension of the former theater space. The proposal is based on a contemporary reinterpretation of corde lisse acrobatics. In seven additional architectural works (Caldereria Petita House, Vall d’en Joan landfill, Juan Apartment, Can Framis Museum, Saint Francis Church Auditorium, Can Zariquiey – Arenys de Munt Clinic and the tower of 94 public housing units) perspective is provided by the cameras of GrisArt (Barcelona School of Photography) students. Led by Albert Gusi, the students will photograph the other buildings selected from a viewpoint that emphasizes the vitality of the buildings. (Sant Pere de Riudebitlles, 1969) He received his degree in architecture from the Escola Tècnica Superior d'Arquitectura de Barcelona (ETSAB) and earned his PhD in history and theory with the thesis Sinan, Marcantonio Barbaro i els intercanvis entre Venècia i Istanbul. He is a practicing architect and has taken part in individual and group projects and collaborated with institutions such as the Escola Tècnica Superior d'Arquitectura de Barcelona (ETSAB) and the Escola Tècnica Superior d'Arquitectura del Vallès (ETSAV), the Col·legi d'Arquitectes de Catalunya (COAC) and Fundació Mies van der Rohe. He has promoted a number of cultural initiatives such as the Biennal d'Art Riudebitlles – Obra sobre paper (2000-2014) and the exhibition Café dels Voyageurs (2012). In 1999 he was a finalist at the FAD Awards in the category of ephemeral spaces together with painter Jaume Amigó. (Barcelona, 1967) He earned his PhD in architecture with the thesis La reforma de Casa Bofarull (1913-1933), de Josep M. Jujol: transformacions simultànies (2011). He is a professor of Architectural Composition at the Escola Tècnica Superior d’Arquitectura of the Universitat Internacional de Catalunya (ESARQ-UIC) and a member of the research group History, Art and Design at the Universitat Internacional de Catalunya (UIC) with the project La mansana de la discòrdia: el modernisme com a transgressió a la regularitat de l’Eixample. 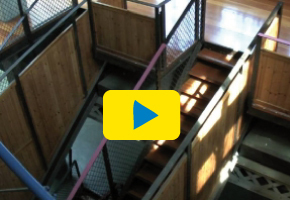 He is the author of a number of articles and publications on the architect Josep Maria Jujol. Together with M. Arenas and C. Peig he curated the exhibitions Teatre del Patronat Obrer: una mirada gràfica (TGN, 2010) and Taller Jujol (SJD, 2007). 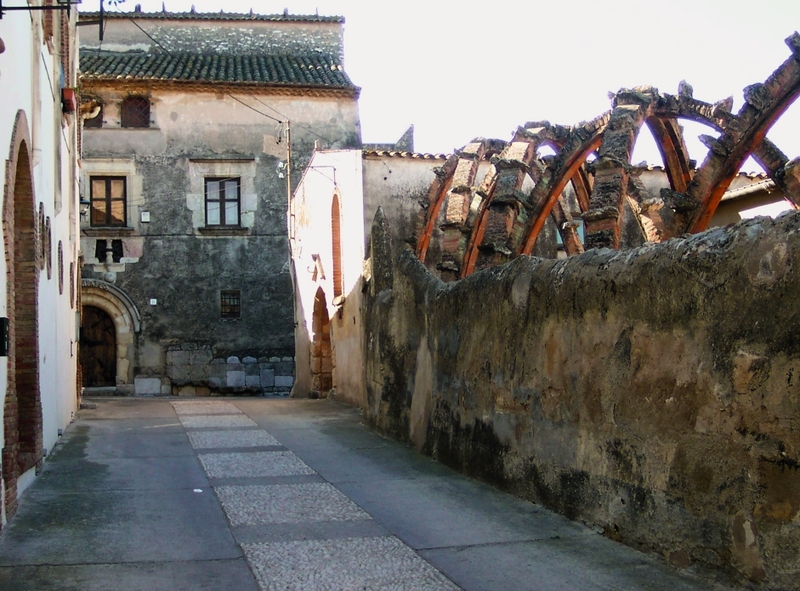 (Sant Pere de Riudebitlles, 1972) He received his degree in art history from the Universitat de Barcelona (1992-1997). He works in different areas of culture and the visual arts (creation, education, communication, management and so on). Among other responsibilities, he was coordinator of the visual arts program of the Can Felipa Civic Center in Barcelona (2006-2011) and head of communication and mediation at the CA Tarragona Centre d'Art (2011-2013). 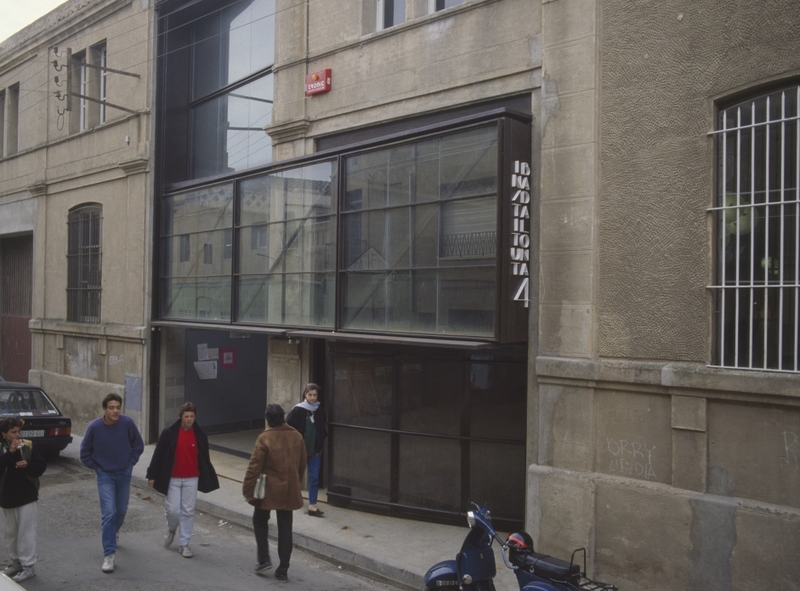 He has collaborated on different projects for the Office for Artistic Dissemination of the Barcelona Provincial Council, the Institució de les Lletres Catalanes, the Arts Laboratory of Fundació "la Caixa" and the association Experimentem amb l'Art, among others. He is part of K poetika: Eskamot cultural and was an organizer of the Kinzena Poetika festival of Vilafranca del Penedès, a festival for poetry and all of its manifestations. The IRL forms part of the Fundació Ramon Llull, which was established by the Government of Andorra, the Ramon Llull Institute, General Council of the Eastern Pyrenees, the city of Alghero, and the group of Valencian Cities, and has its central offices in Andorra.